NCI is offering students the opportunity to travel to Kenya for service learning credit in the summer of 2018. This is a culturally immersive program that provides students with first-hand international development experiences and leadership opportunities. To provide education and support for Nairobi children living in poverty whose families are affected by HIV/AIDS. NCI is offering students the opportunity to travel to Kenya for service learning credit in the summer of 2018. Through volunteering at the camp, students will learn first-hand about international development while growing as leaders. NCI partners with Friends of Ngong Road (ngongroad.org), a Kenya and US-based non-profit organization. FNR seeks out children that have the ability to succeed but not the means in the geographic area known as Dagoretti, one of the major slums in Nairobi. The organization supports children by providing for their education; their fundraising efforts go toward paying school fees, providing supplies, and encouraging the personal development of students in primary and secondary school. Students affiliated with FNR consistently show higher test scores and graduation rates than the average for all Kenyan children. One of FNR's major programs is a summer camp for school-age children. For many of the campers, camp provides access to food and safe shelter over the summer in addition to fun and community. The children consistently report that camp is the highlight of their year. NCI's volunteers are leaders among the camp staff. You have the opportunity to develop a course of study based on your interests to foster creative thinking, problem solving, and awareness of gender-based issues. Volunteers will work with Professors Sally Kenney, director of the Newcomb College Institute, and Izabela Steflja, Tulane professor of practice in International Development, who will oversee their projects and attend camp. 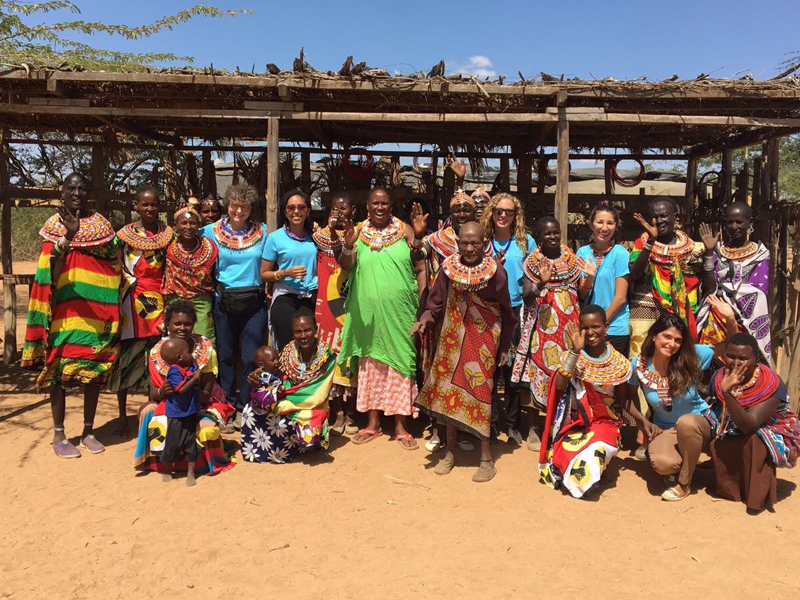 In addition to time at camp, the trip includes an excursion to a local women’s NGO and the optional add-on excursion (read more below). Program dates: August 3-24; if students wish to participate in the additional trip excursions, additional dates are July 31 – August 2. Eligibility: Applicants must have taken IDEV 4951. Students receive 3 credits of independent study credit that fulfills their second tier service learning requirement. Fields of study: African and African Diaspora Studies, International Development, International Relations, Gender & Sexuality Studies, Political Science, Public Heath and Social Entrepreneurship. Lodging is provided, along with transportation and most meals. $3,500 - covers lodging, some meals, and transportation while in Kenya. This cost does not include airfare and the optional excursion add-on happening July 31st – August 2nd. Program deposit: $500 non-refundable by March 12, 2018. Major: African and African Diaspora Studies, International Development, International Relations, Gender & Sexuality Studies, Political Science, Public Heath.